Lada is a trademark of AvtoVAZ, a Russian car manufacturer in Tolyatti, Samara Oblast. All AvtoVAZ vehicles are currently sold under the Lada brand, though this was not always so; Lada was originally AvtoVAZ's export brand for models it sold under the Zhiguli name in the domestic Soviet market since 1970. Lada cars became extremely popular in Russia and Eastern Europe during the last two decades of the Soviet era, particularly in former Soviet bloc countries, where they have become a symbol of city life. 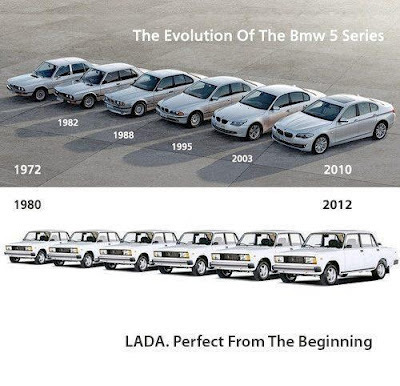 The name "Lada" meant "boat" in Old Russian. The Lada badge also depicts a Viking sailing boat.